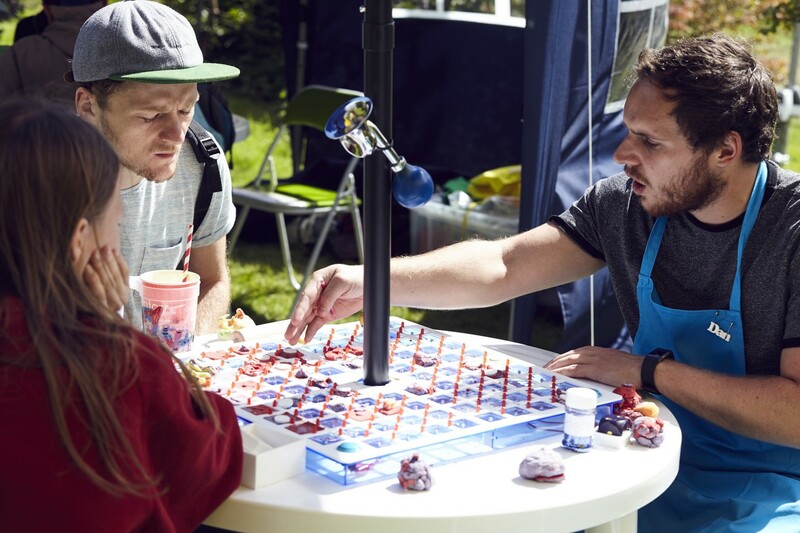 We’re excited to reveal that Einstein’s Garden will be bringing Malfunction Junction to this year’s Eisteddfod on the 5th and 6th August 2018. 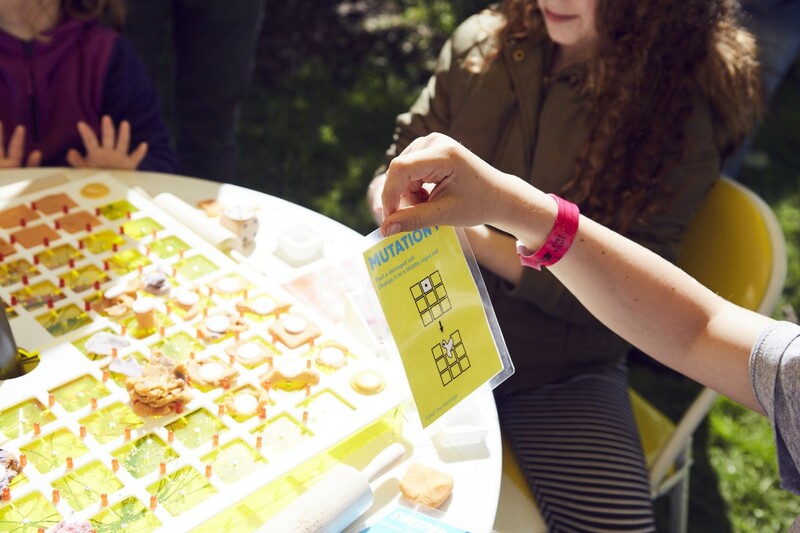 Fresh from its debut at Green Man 2017, Malfunction Junction is an interactive game about cellular processes, developed in partnership with scientists from Cardiff University. Malfunction Junction will be at the Cardiff National Eisteddfod on Saturday 4th and Sunday 5th August 2018, between 10am and 6pm. Find us on the Maes, Lloyd George Avenue, stand S01 – opposite Dylan’s Bookstore. Our bodies are made up of an amazing network of cells, all playing by the complex rules of life to keep us fit and healthy. But what happens when a cell malfunctions, breaks the rules and hijacks the system to go rogue? Help to build the network, figure out the rules of the game and watch out for those rogue cells! In Malfunction Junction, players build up a network of cells, modelled from electrically conductive playdough. When the network is functioning correctly, the cells are neat and ordered and the board will light up with rows of LED lights. For each person’s turn at the game, a card is drawn representing a different cellular process, such as genetic mutation, cell damage, stem cell function or immune response. When a cell hijacks the rules, it mutates and becomes rogue, turning into a messy clump on the board, preventing the network and the lights from working. Scientists from the European Cancel Stem Cell Research Institute will be chatting to players, revealing the research being done to investigate the way cells in the body break normal biological rules to become cancerous.